You asked us, how do you mummify a body? Assuming simple curiosity is driving your question, the answer depends on whom you ask. The ancient Egyptians would say if you had enough wealth and status, special priests could preserve you. Forever. First, they pull out your brain and internal organs, except your heart. The heart stays. Then they dry out your body with a kind of salt. Most of your organs would be preserved in jars, but your body would get wrapped up in strips of linen and layers of resin before being sealed in a coffin. Their technique worked pretty well. But they weren't the first to go mummy. Two thousand years earlier, the Chinchorro of Chile and Peru were in the habit of skinning, dismembering and disemboweling bodies. After that they would putt them back together with sticks, straw and plant fibers. Then they'd paint the bodies. More recently, nature did the dirty work for the Inca. They made sacrifices to their gods by bringing kids high up into the Andes Mountains. The kids' bodies became mummified by the dry atmosphere and extreme cold. Peat bogs, glaciers and deserts can have the same effect. The oxygen-deprived acidic, cold, hot and dry conditions of these environments desiccate bodies and stop decomposition au natural. So basically, take your pick. Wait, I mean, not really though, right? Why did Egyptians use salt? That's disgusting. I have learned about this before but the picture are nasty. never want to read this again. Go human body parts and biology. Egyptians used salt because the salt preserves the body and keeps it from decaying. Egyptians used salt to mummify bodies because according to the article, that was needed to dry them out, which preserves them. I found this information when it said, "Then they dry out your body with a kind of salt." (paragraph 4). I found this article interesting because I learned about Ancient Egypt a few years ago in Social Studies, and it relates to this article. how cool I didn't know that they did that in Egypt. it must be really nasty to take out the brain also your internal organs. they just ley your heart sit and dry out. also most of your organs in jar I would never want to live in Egypt then. they would also get painted. I would only imagine opening one of those today ewe it would smell really bad. Egyptians used salt while mummifying to dry out the body of the dead person before putting it in a sarcophagus. The body would then be dry enough to take out the organs, and, "Their technique worked pretty well." (paragraph 5). Since the body was dry and parched, it was easier to take out the insides of the dead person. Since salt was abundant in Egypt and was an affective way to make things dry, the Egyptians used the salt to dry out the body. Then, they could finish the process on the royal deceased person, put them in a sarcophagus, and stow them away in their tomb. That is why Egyptians used salt. 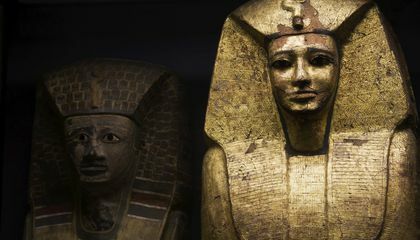 I thought this article was interesting and found that Egyptians were not the first to mummify surprising. Egyptians used salt to preserve and dry the organs of the dead body. "Then they dry out your body with a kind of salt." (paragraph 4) They needed the organs to be dry because the Egyptians would put them in jars and take everything except for the heart before put the body is put it a coffin. I thought this article was interesting because I remember we discussed about Egyptian culture in Social Studies in 6th grade and we learned about them putting the organs away in jars. 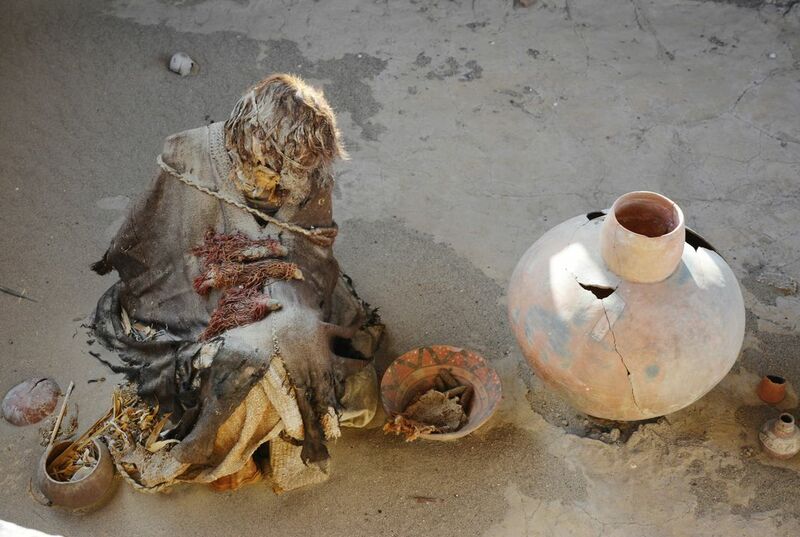 I thought this article showed that in different times or cultures, people could have mummified bodies. The article sounds really gross. I think that this is the grossest article I have ever seen. The image of the article looks horrible. To me I think that the thing is a dead human wrapped in something. Also I don't know why they added the brain and the other stuff. I surley don't want to read more about this stuff. The Egyptians would use salt to dry out the body and to preserve the body.